Fentress Architects have partnered with three other firms to present a bright and spacious hub. Credit: Chicago Department of Aviation. Foster + Partners has pitched a terminal with three vaulted arches. Credit: Chicago Department of Aviation. Studio ORD's terminal is an homage to the Chicago municipal device. Credit: Chicago Department of Aviation. Nature and green spaces are central to Skidmore, Owings & Merrill's design. Credit: Chicago Department of Aviation. Calatrava’s idea is to go beyond the terminal building itself and to create a functionally independent campus. Credit: Chicago Department of Aviation. Airports are essential parts of a community and central to the development of urban centres – yet the community they serve rarely gets the chance to weigh in on the planning process. 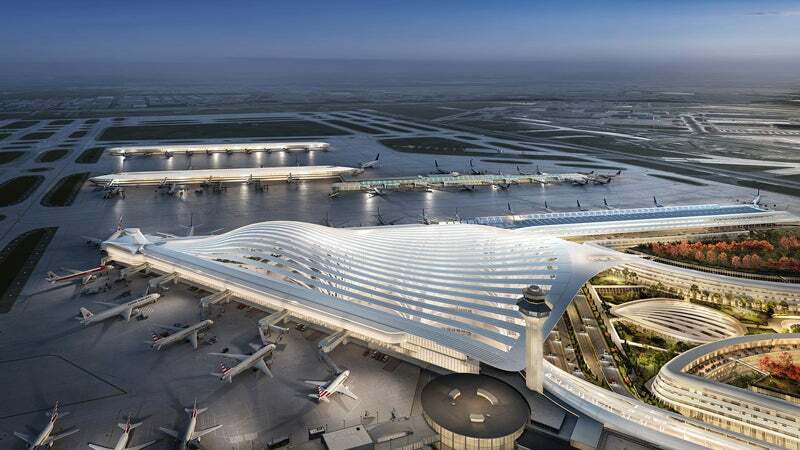 That, however, is not the case at Chicago’s O’Hare Airport, which recently invited the public to vote on the future design of its ageing Terminal 2 as part of its first large-scale expansion in 25 years. The fourth busiest mega-hub in the world, in 2018 O’Hare handled 83.4 million passengers and about 900,000 flights. As passenger numbers continue to grow and cargo operations steadily increase, the airport has launched the ambitious O’Hare 21 project, which features a planned expansion of Terminal 5 and renovations to Terminals 1 and 3 and most importantly, the revamping of Terminal 2, which will be turned into the airport’s global terminal. 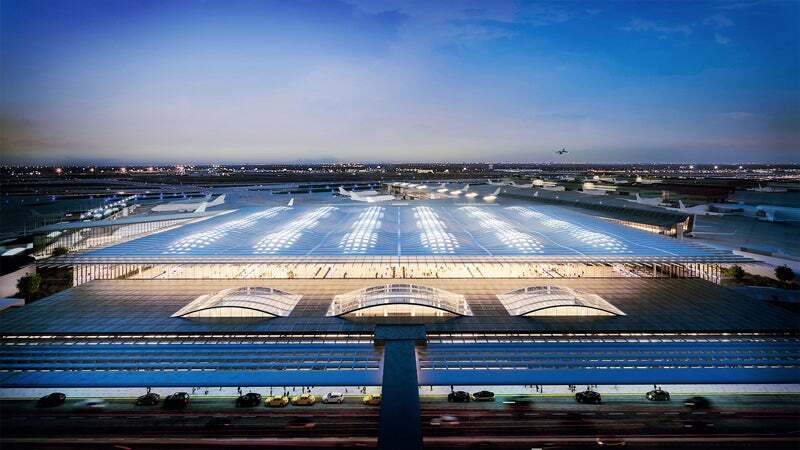 With works set to begin in 2021 and end in 2028, the terminal’s refurbishment is expected to add 25% more gate capacity and increase the total footprint from 5.5 million square feet to 8.9 million square feet, as well as consolidate O’Hare as the most important hub in the Midwest. 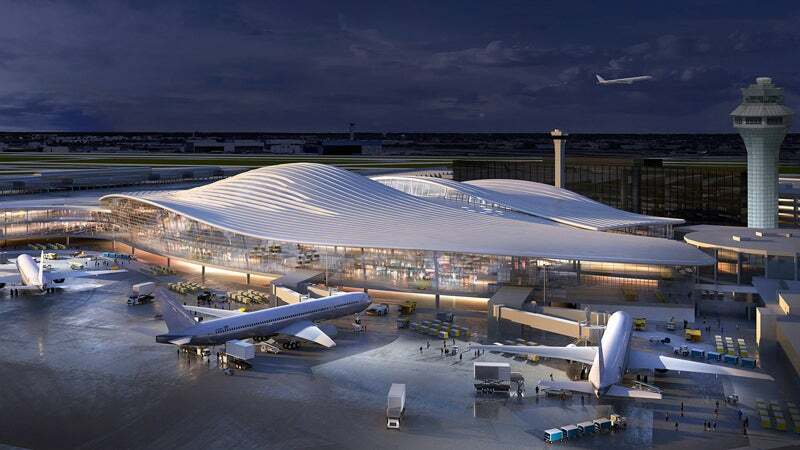 As a result, some of the most prestigious architecture firms on the market pitched their ideas of what the new global terminal should look like in the future. Hence the idea to involve the public, which were asked to vote on their preference amongst five selected finalists in mid-January 2019. However, having witnessed mixed reactions to the initiative – with some claiming there is more than meets the eye when it comes to airport design – city officials were quick to reassure that the public vote did not crown the definitive winner. Instead, it helped a secretive selection committee, which likely included key stakeholders like airlines, investors and the Department of Aviation, decide on the best design for O’Hare. The team’s vision for the terminal is a Y-shaped area that converges on a central hall, which could be seen as an homage to the Chicago municipal device, symbolising the Chicago River’s three branches. Fresh from designing a terminal at Denver International Airport, Colorado-based Fentress Architects collaborated with three other firms to present a bright and spacious hub that formally crowns O’Hare as a major international airport. 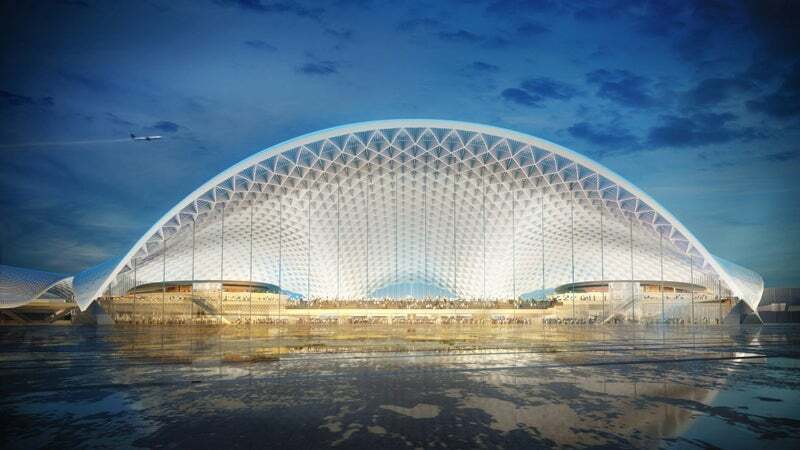 As part of the design, a curved roof would have topped the terminal, with vertical slats set to connect it to the ground to let natural sunlight filter through the spacious main area. According to the joint venture, the terminal was designed in an effort to make Chicago O’Hare the “world’s next greatest airport”, and included interactive digital media that would feature in the great hall space. A partnership between London-based firm Foster + Partners and local architects Epstein and JGMA pitched a terminal with three vaulted arches that merge into a grand single arch on the airside. Known in the UK for planning London’s Stansted terminal, Foster + Partners also have a reputation in Chicago for designing another famous building, the iconic riverfront Apple Store in the city centre. Another homage to O’Hare’s early days was evident in the project presented by locals Skidmore, Owings & Merrill, who have previously designed major buildings in the city such as the Willis Tower and John Hancock Centre. Nature and green spaces were central to the design, as native prairie grass and glass-enclosed groves of trees appeared in the firm’s proposal. However, contrary to all the other projects, the structure of this terminal wouldh ave mainly stretched out horizontally, echoing the one of Terminal 2 at Mumbai Airport, another product of Skidmore, Owings & Merrill. 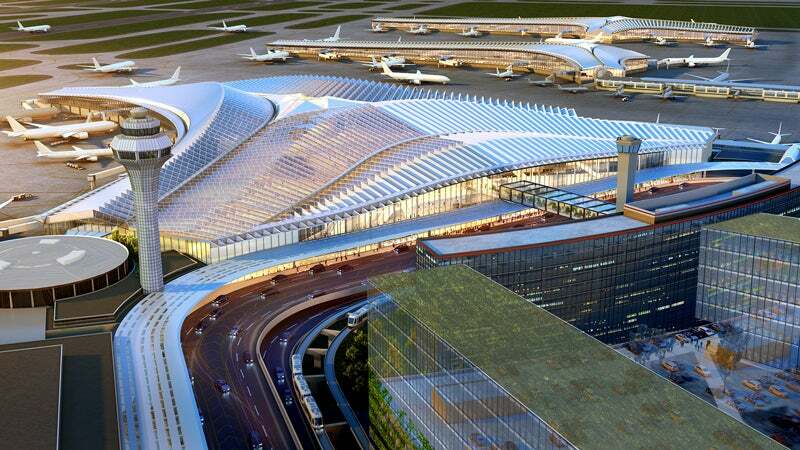 In O’Hare’s case, a shell-like roof with a glass façade would have topped the terminal, while a large garden area would have been placed near the airport’s service drive. But the most interesting side of the proposal was Calatrava’s idea to go beyond the terminal building itself and to create a functionally independent campus. This was part of the architect’s holistic vision to create an airport-city, home to hotels, conference centres and restaurants. Calatrava also proposed to place large green areas inside and at the rear part of the terminal, drawing inspiration from Chicago’s seal, ‘Urbs in Horto’ or ‘City in a Garden’.